The Executive Board and President are elected biannually by the General Assembly. According to the constitution, a member can sit in the board or be elected president no more than three consecutive terms. 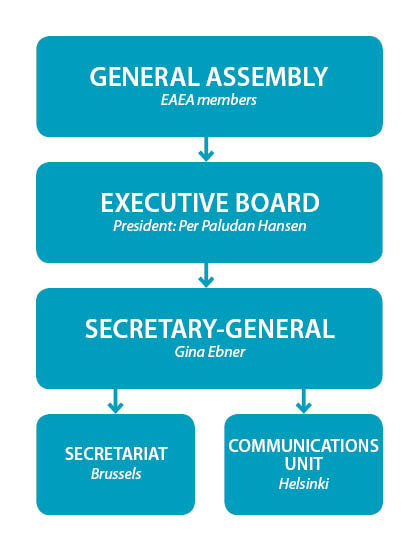 The Board meetings of EAEA are open to members. If you want to participate, please contact EAEA office for further details.